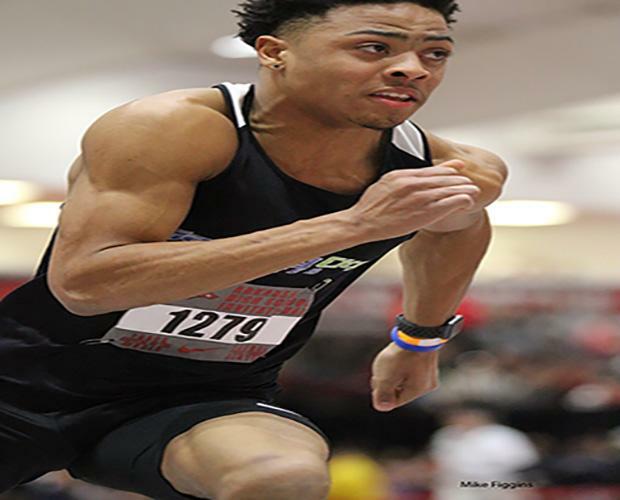 Hazelwood West and Gateway City Untied Junior Justin Robinson impressed once again this weekend with a victory in the 400m at the very competitive Arkansas High School Invitational. His 46.77 time from prelims lands him as the fastest 400m runner among American high schoolers so far this season. He's over a second faster than the second best, and is one of only two Americans so far to have broken 48 seconds this indoor season. Grant Conway of St. James has had a really great start to the indoor season. 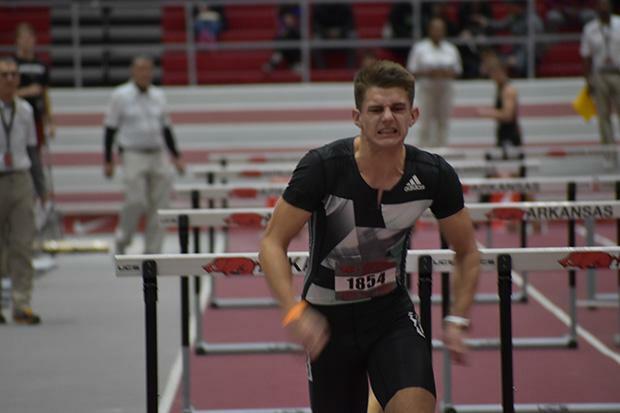 He won the 60m Hurdles at the Arkansas High School Invitational, and his winning time of 7.98 currently sits him 5th nationally. The Iowa Hawkeye commit looks to keep improving throughout the indoor season and I caught up with him after the race for an interview which you can see below. 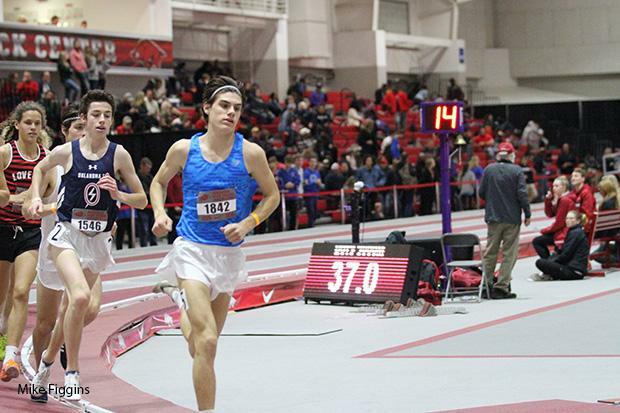 Defending 3200m and XC State Champion Christian Baker of Kirkwood took the victory in the 3000m Saturday night. 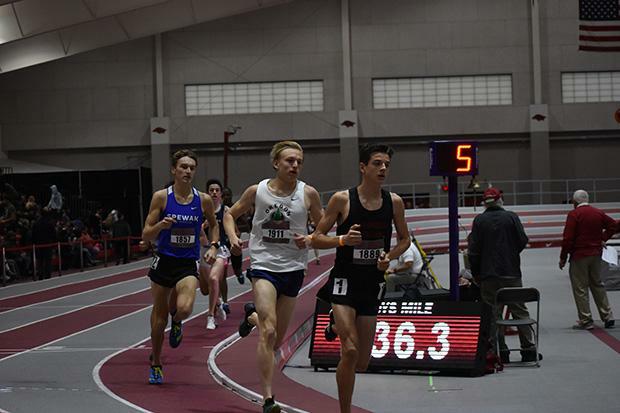 After hanging back in the first mile while fellow Missourians Patrick Hetlage and Carson Sanders exchanged leads, Baker turned it on in the last 1200 meters and ran away with the victory. His winning time of 8:39 currently stands as the 8th fastest time among American high schoolers this year. It looks Baker is off to a great start for his title defense in 2019. Cardinal Ritter's Rasheed Ricketts put in a great performance in the Triple Jump on Saturday. Not only did he win the event, but he also jumped up the national rankings to #13 with his 47-5 winning jump. This made it back to back wins at the very competitive Arkansas High School Invitational as he also won the event last year with another 47 foot jump. The Rockhurst duo of Wes Porter and Tom Seitzer ran extremely well Saturday placing 2nd and 5th respectively. Porter was 2nd with a 4:19 which currently sits #13 in the United States. Seitzer was just behind him with a 4:25 and is 67th nationally. I caught up with them after their race for and interview which you can see below.